radare is a reverse engineering framework and cmdline tools to work with binary files and understand the way they work. The version 2 of radare is a complete rewrite from the scratch. 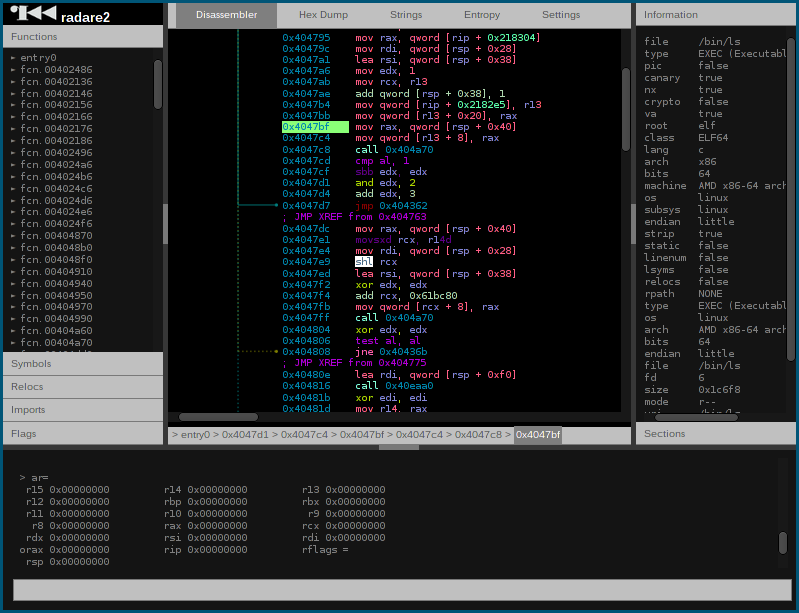 radare supports analyzing binaries, disassembling code, debugging programs, attaching to remote gdb servers and so on.